Home > Music Instruments>Drums and Heads>Frame Percussion>Overseas Military and Civilian>Bodhran, 16x6", Plywood, Black, T-Bar"
Bodhran, 16x6", Plywood, Black, T-Bar"
Bodhran, 16 Deep, Plywood, Black. 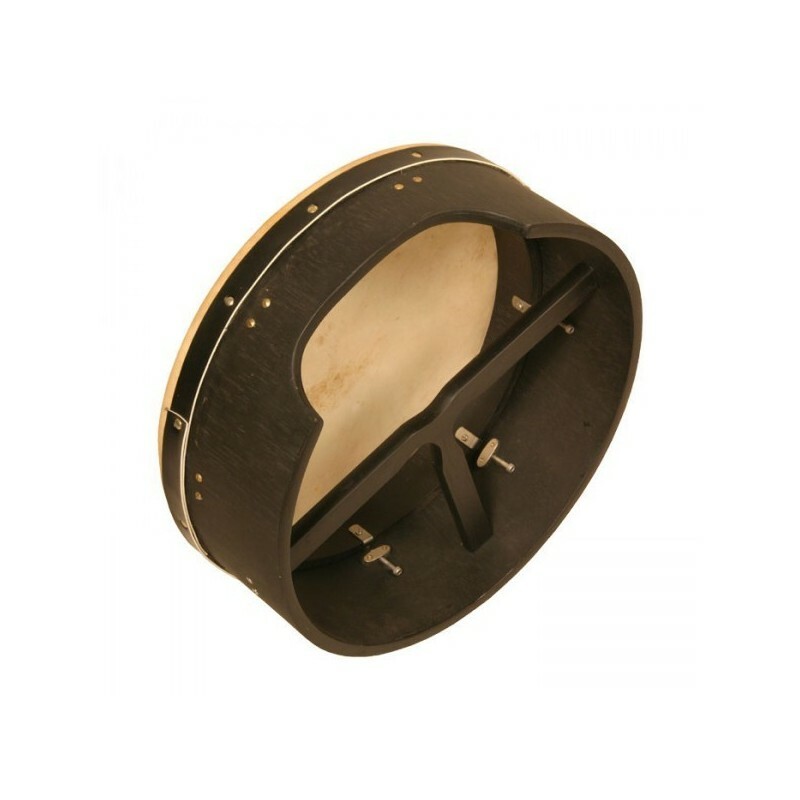 This is a 6 inch deep tunable Bodhran with a natural goat skin head. The plywood allows the..."
Bodhran, 16 Deep, Plywood, Black. This is a 6 inch deep tunable Bodhran with a natural goat skin head. The plywood allows the drum shell to be over 5 inches deep and still only have a weight of approximately 3 pounds. The T-Bar is removable and the tuning mechanisms are inside for a clean look. One tipper and tuning wrench included."